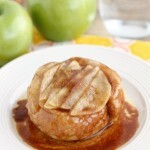 Crustless Apple Pie (+ Video) - Dessert Now, Dinner Later! 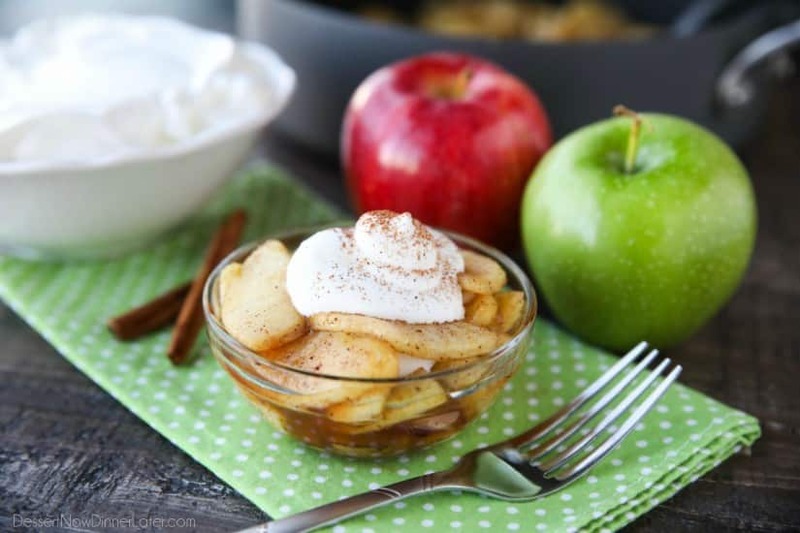 Crustless Apple Pie is a super easy, healthier holiday dessert that tastes great. Top it with sweetened whipped cream for a little indulgence. *This post is brought to you by Vital Proteins. Thanks for supporting the brands that make Dessert Now Dinner Later possible. Thanksgiving and Christmas are my favorite holidays because you get to spend time with family and enjoy a lot of great food! The “great food” is also a reason I dread those holidays because I overindulge and regret it later on. Since I’m not making most of the food, watching my portions and not going back for seconds is my game plan, but dessert is my real weakness. 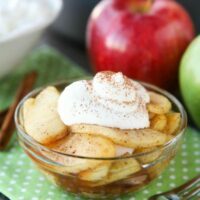 One of my favorite holiday desserts is apple pie. It’s actually my sister’s favorite too. We can’t have a family holiday meal without it. 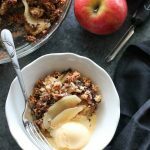 So I’ve created a healthier twist on a traditional apple pie that I can bring for the dessert table. 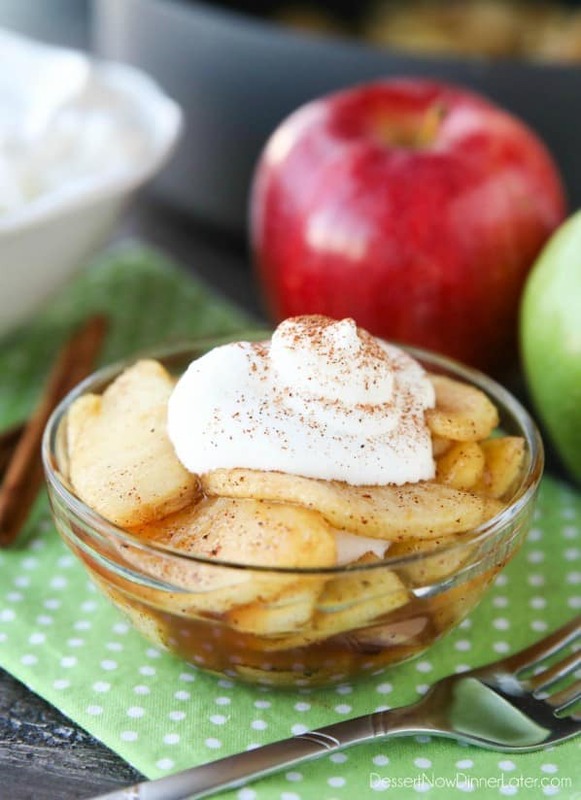 Crustless Apple Pie – which is basically apple pie filling with a few healthier swaps. Instead of sugar in the apple pie filling, I’ve used pure maple syrup. And instead of serving it in a flaky pie crust, I divided it into shallow bowls for individual servings, which makes it feel special. I decided to top the crustless apple pie with a small spoonful of real sweetened whipped cream for a little indulgence. You could also do sweetened coconut whipped cream if you want to keep it healthier all-around. 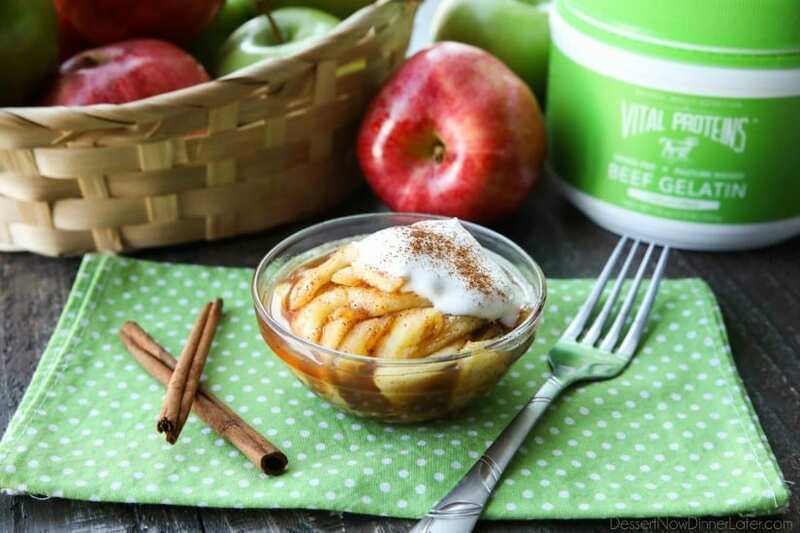 Another great swap I did, was using Vital Proteins® Beef Gelatin in place of corn starch. It’s a pasture-raised, grass-fed gelatin powder that mixes easily in hot liquids and supports digestive health. 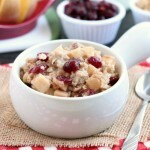 Improved digestion is exactly what you need after a big holiday meal. Keep in mind, the Beef Gelatin will turn solid when cooled completely, so keep the crustless apple pie filling warm until ready to serve. Beef Gelatin is a great source of collagen. Collagen helps your skin, hair, nails, bones, and joints. I’ve been using Vital Proteins® Collagen Peptides for almost a month now. It’s easy to mix in cold water, whereas the Beef Gelatin does better in hot water. I take the Collagen Peptides after I workout in the morning (either with flavored water or mixed in a smoothie) and it has helped my joints tremendously. I struggle with my knees, especially if I workout several days in a row. There’s only so much squats and cardio my joints can handle, but I can easily workout 5-6x a week now with taking Collagen Peptides. You can read about MANY more benefits to taking collagen HERE. 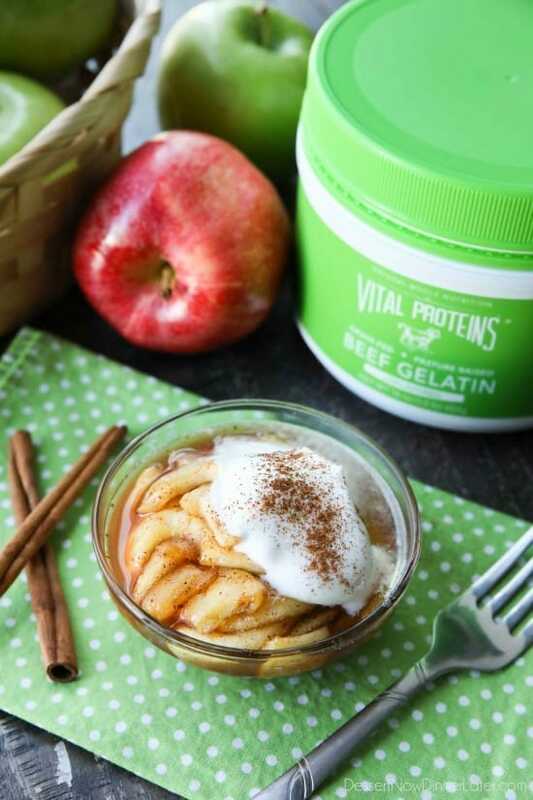 The Beef Gelatin and Collagen Peptides are super easy to add to your regular foods. Think coffee, tea, juices, smoothies, baked goods, etc. 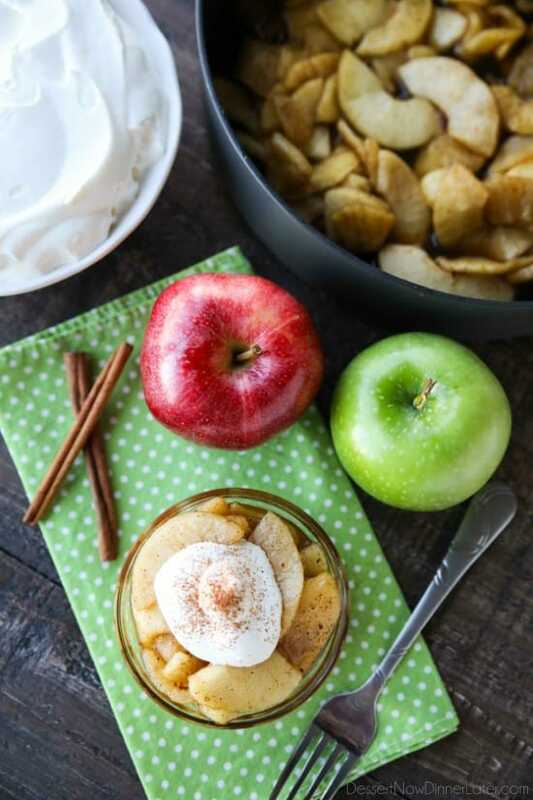 In the meantime, offer to bring this crustless apple pie dessert to your holiday meal. I bet you won’t even miss the crust! Peel, core, and slice apples. Place prepared apples in a large skillet over medium heat. Add the lemon juice, maple syrup, nutmeg, cinnamon, and beef gelatin. Stir well to coat the apples. Let liquid come to a simmer and cook for 8 to 10 minutes, stirring occasionally, until the apples are tender and the liquid has reduced a little bit. 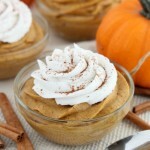 Serve warm with a scoop of whipped cream and sprinkle of cinnamon, if desired. *To make sweetened whipped cream, whisk 1/4 cup heavy cream with 1 Tbsp powdered sugar until stiff peaks form.